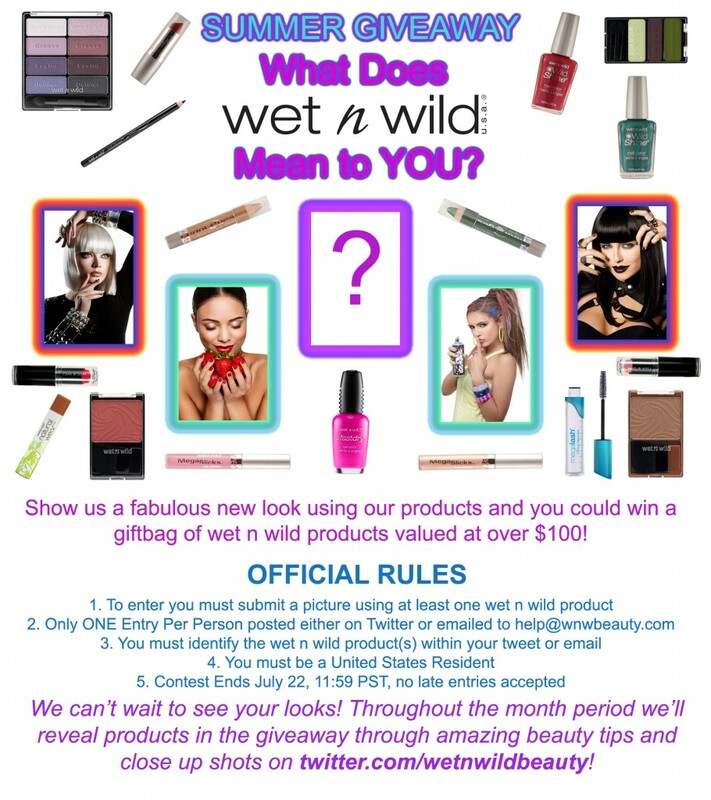 Home Makeup	Wet n Wild Summer Giveaway! Since I am the newest Wet n Wild beauty ambassador, I thought I would share my first announcement from them with you. They are having a great giveaway this summer, so check out the details below and enter to win on Twitter by clicking photo. You can also enter to win by emailing them if you don’t have a Twitter account (see poster). I know, right? I’ve been using them since I was a kid, and I’d LOVE to win some more! We need more contests and giveaways up here in the Great White North! hey, i just discovered them last year and i love their products! can it also be a nail look? or does it have to be a makeup look?